Buck Knight Folding Knife with Sheath | BUDK.com - Knives & Swords At The Lowest Prices! Small size classic SlimLine lockback folding knife. Traditional woodgrain handle, nickel silver bolsters. 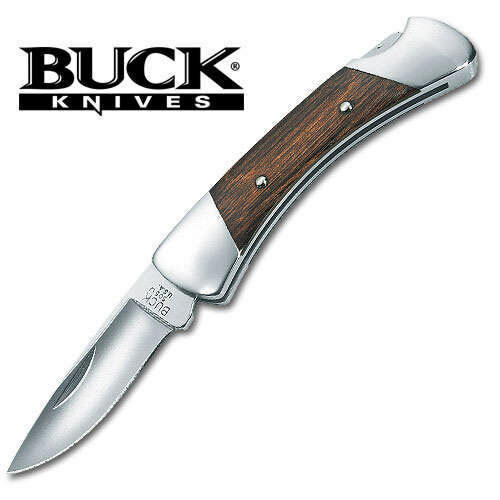 Features a 1 7/8" drop point blade with a closed length of 2 3/4".